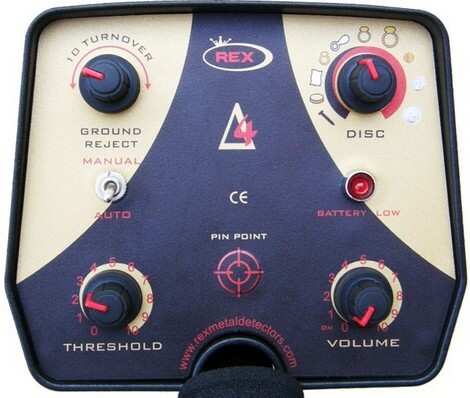 New metal detector produced by REX. 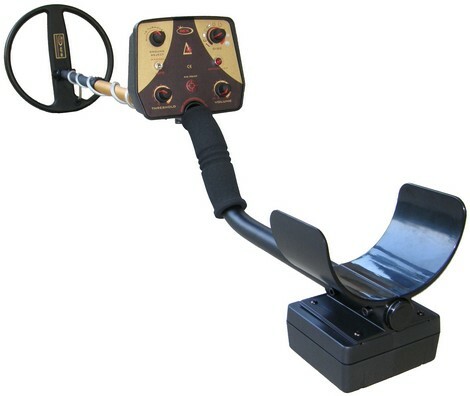 This is a modified version of Delta 6 metal detector , with improved ground balance. -Microprocessor controlled automatic ground reject (Auto Track) - high performance in most soils. - Microprocessor controlled discrimination with enhanced iron rejection. - High recovery speed вЂ“ Improved detection in iron trash areas. - Pin Pointing push button - VCO for the exact localization of the found object. - Low Battery alert вЂ“ red LED blinks automatically. - Supplying of Delta4 is made with rechargeable accumulator block of 12V/2500mAh. - Up to 30 working hours with one battery charge. - 220V automatic charger for the built-in batteries. Charging is easy without taking apart the block off the detector. - 3 piece breakdown handle. - Optional 14вЂќ DD search coil. - Weight is 1,6 kg including batteries. - UserвЂ™s manual in English.